Our Colorado Springs DUI lawyer has been getting a lot of calls recently thanks to a drunk driving crackdown in Colorado. 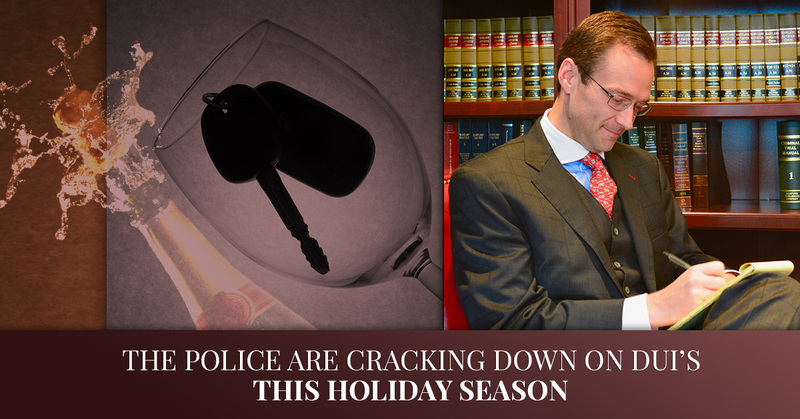 Law enforcement agencies often start DUI crackdown operations during the holiday season. That means they might have more officers out on the road looking for drunk drivers or they may set up more checkpoints on major roads. Locally, the Colorado Department of Transportation started their annual crackdown on December 2nd and wrapped it up on December 13th. During those 11 days, according to an article written on December 16th in the Gazette, there were 552 DUI arrests statewide. That was actually fewer than the number of arrests made in 2015 during a similar timeframe. However, in the Colorado Springs area, they actually arrested more people than they had in 2015. Because of the success of the annual crackdown, it’s likely they’ll continue the program for may years to come. With lower overall numbers this year, there is hope that the program is working to deter holiday drunk driving offenses. This is a busy time of year for our Colorado Springs DUI lawyer, but we’re still accepting new cases. If you’ve been pulled over for a DUI recently, give us a call or contact us through our website. We offer free consultations so we can learn more about your case and you can learn more about the services that we can offer and how we can help. Our goal is to help you get the best possible outcome for your case, just like we’ve done for countless of other clients. Don’t let your DUI charge ruin your holiday season. Put your case in good hands and call our DUI lawyer in Colorado Springs today.